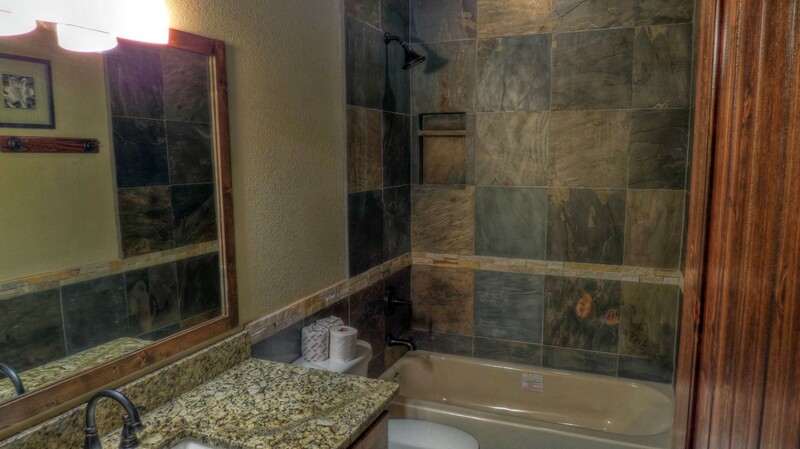 5 bedrooms with 7 baths ( 5 full, 2 half ). 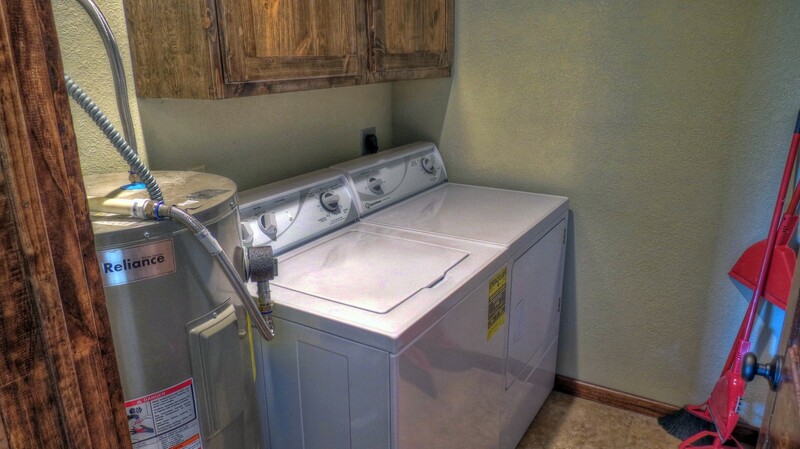 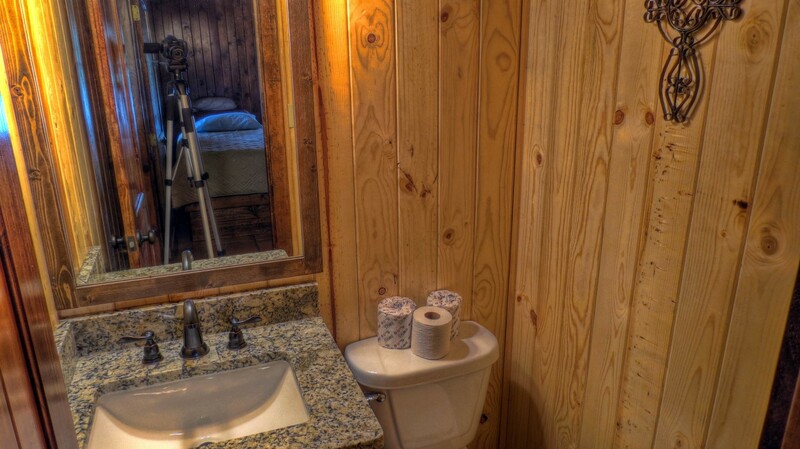 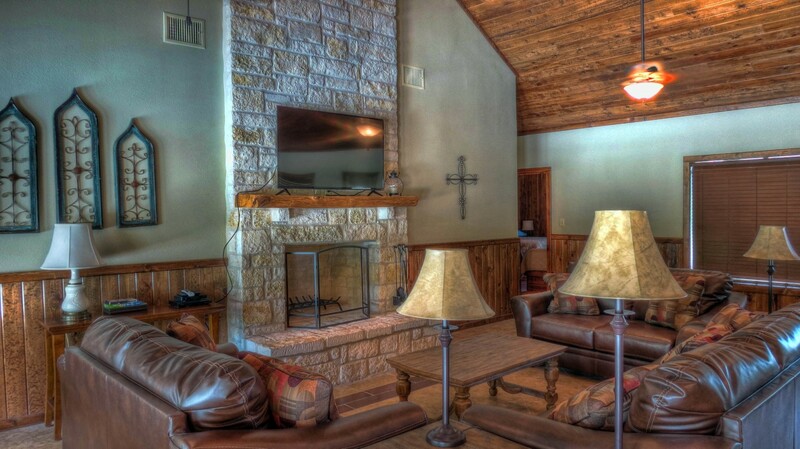 The Buckeye House is fully furnished, several HD Flat screens with Direct TV and DVD players, front and back porches, large open living area with a beautiful large fireplace, laundry room with washer and dryer. 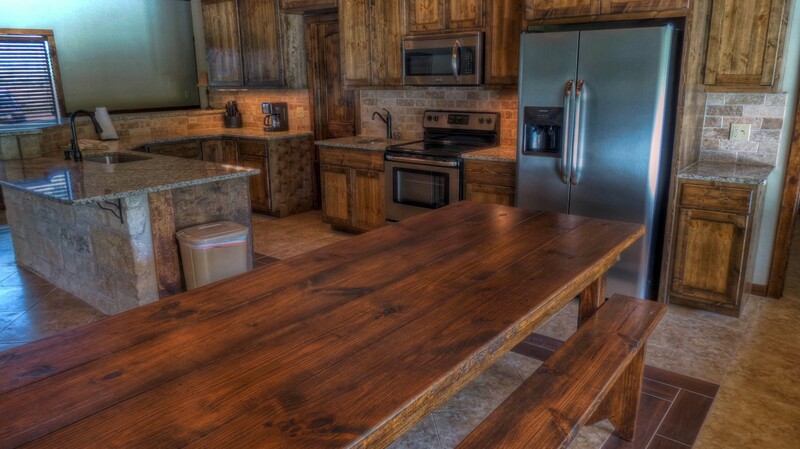 Granite kitchen has two sinks, stainless steel appliances including a dishwasher and a very nice kitchen bar with seating. 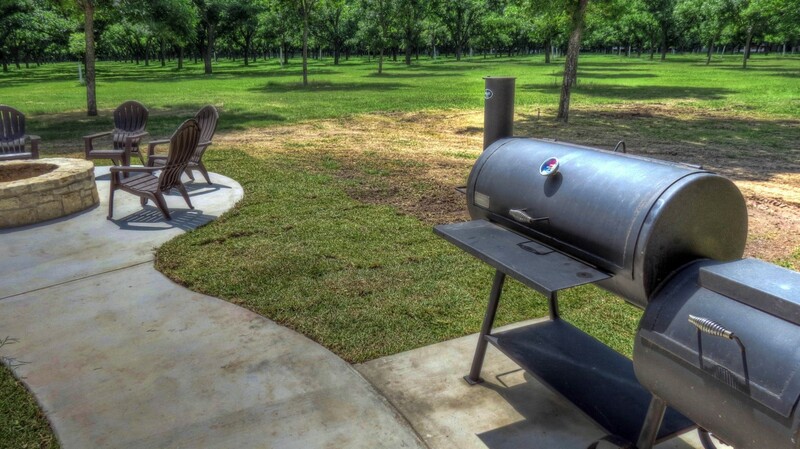 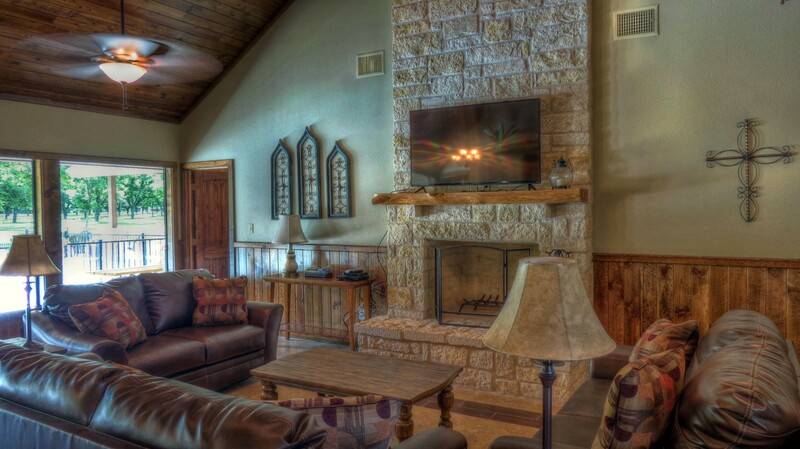 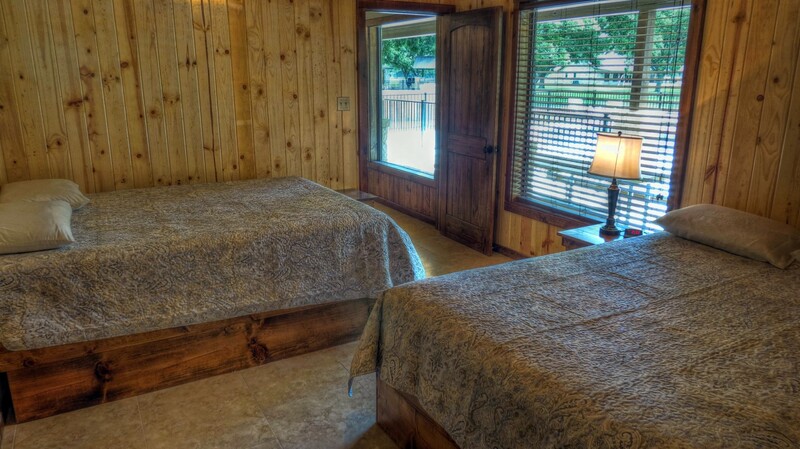 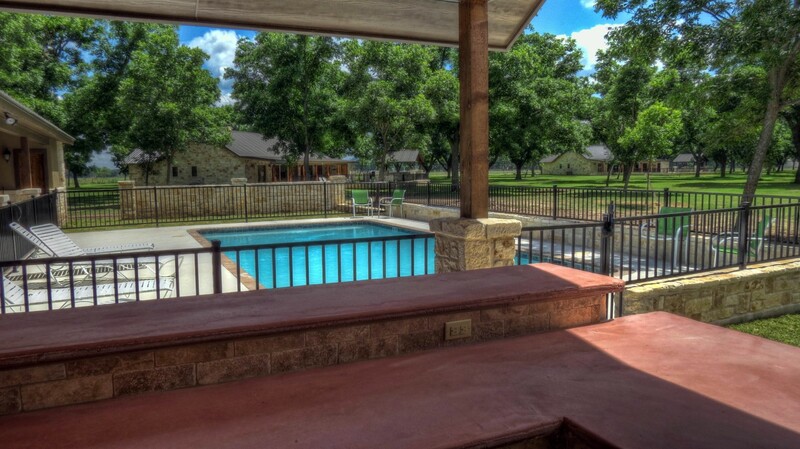 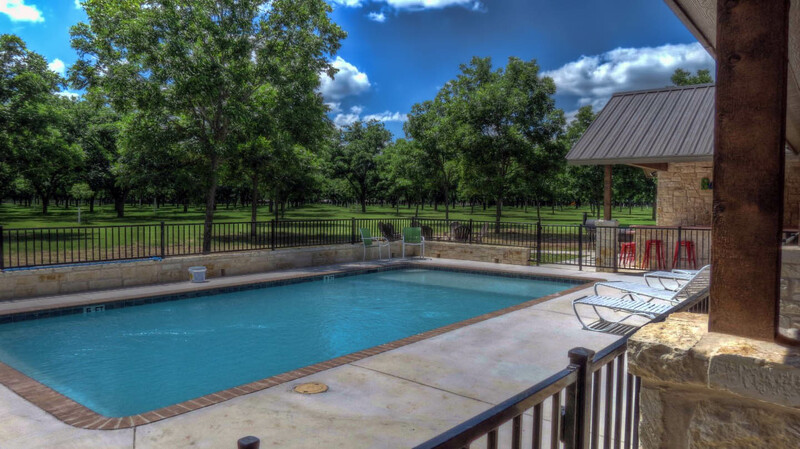 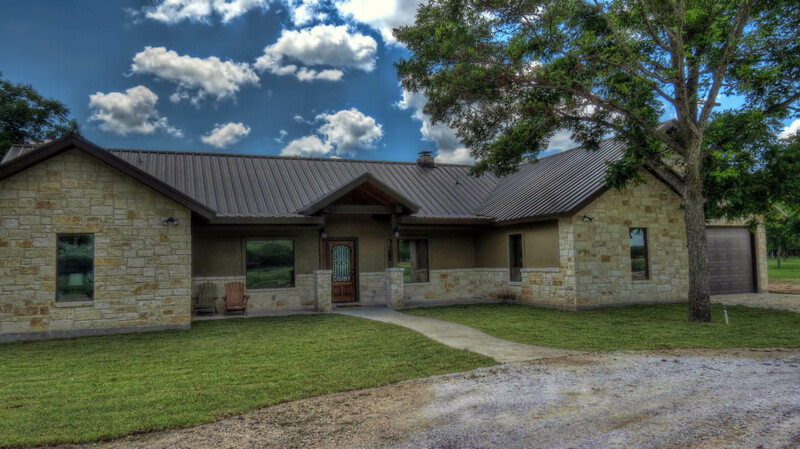 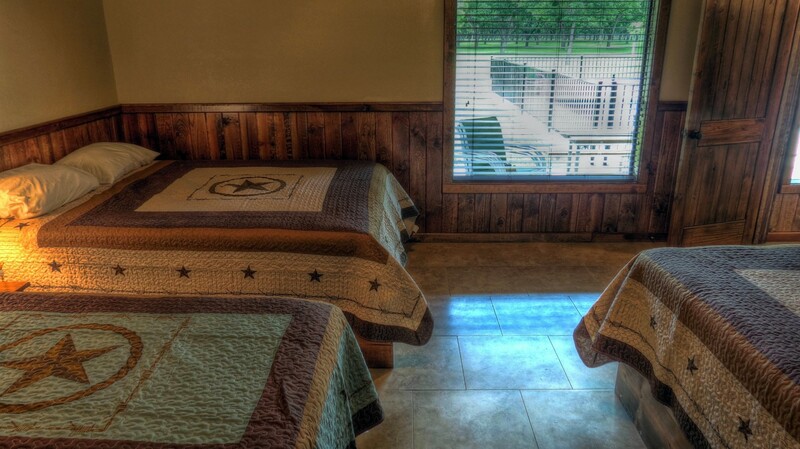 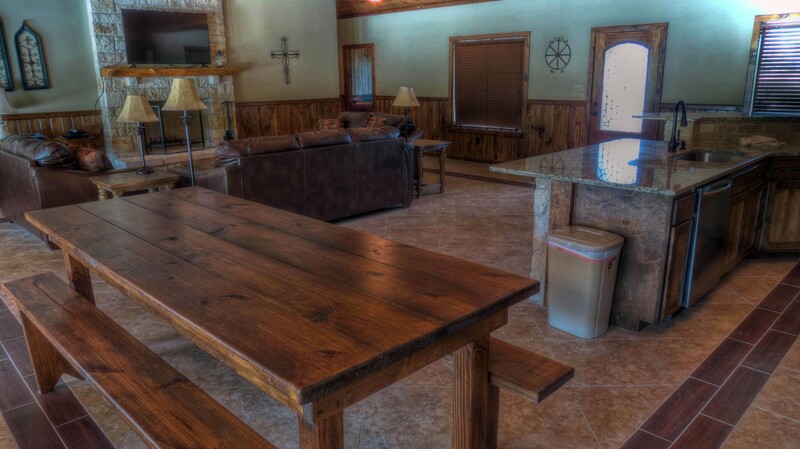 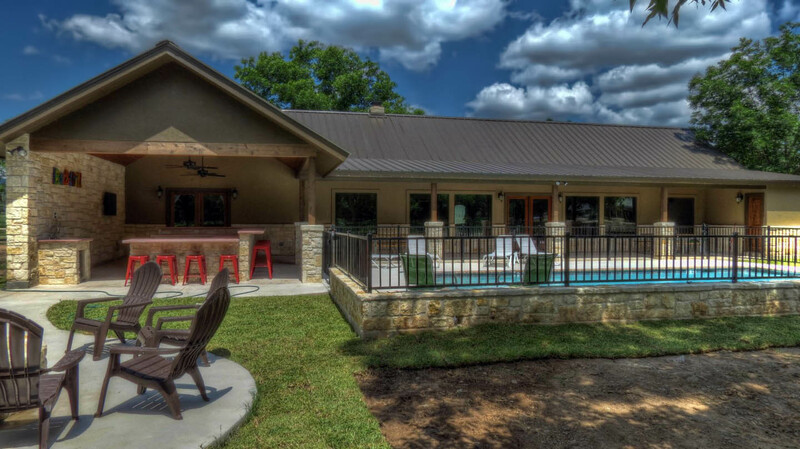 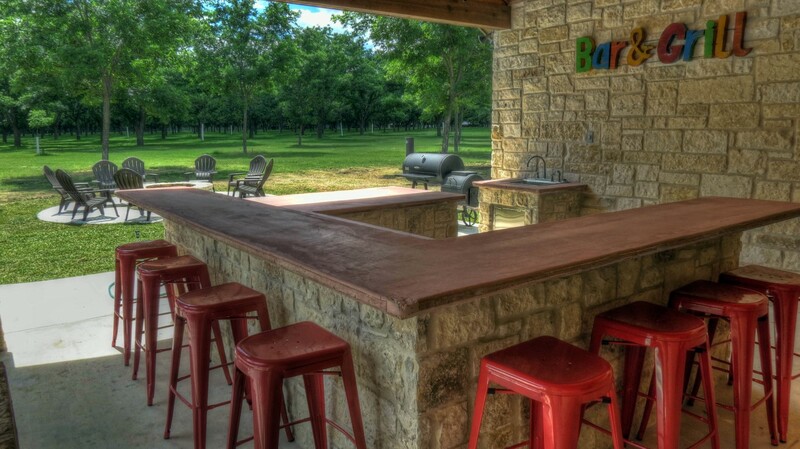 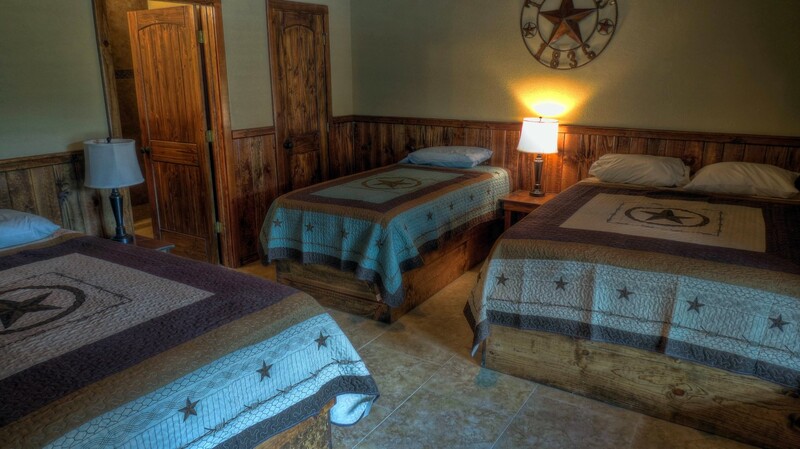 Living area has a beautiful view of the pool, outside kitchen and the pristine Frio Pecan Farm orchard. 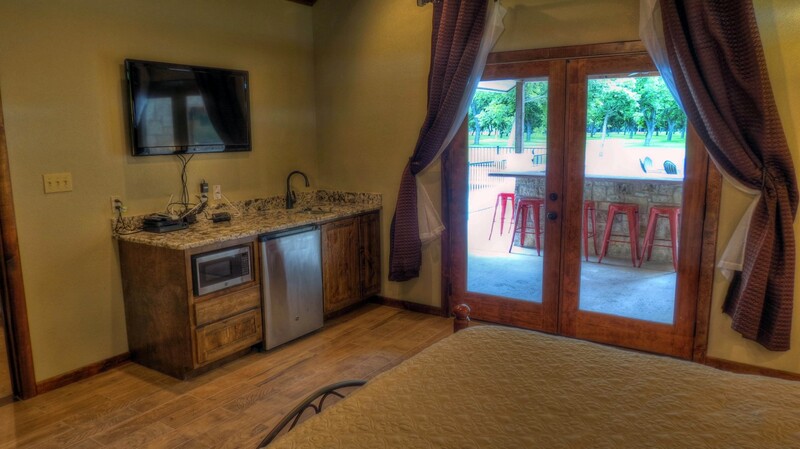 The master bedroom has one (1) king size bed with a wet bar, fridge and microwave. 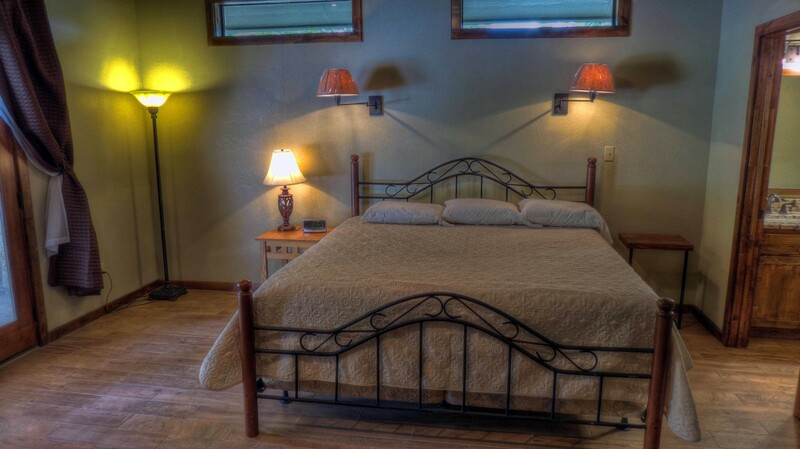 Two bedrooms have two (2) queen size beds. 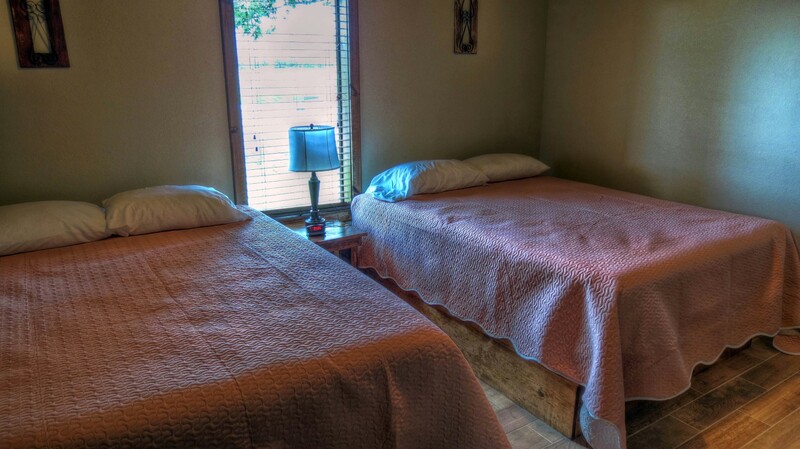 One bedroom has two queen size beds and one (1) Single size bed. 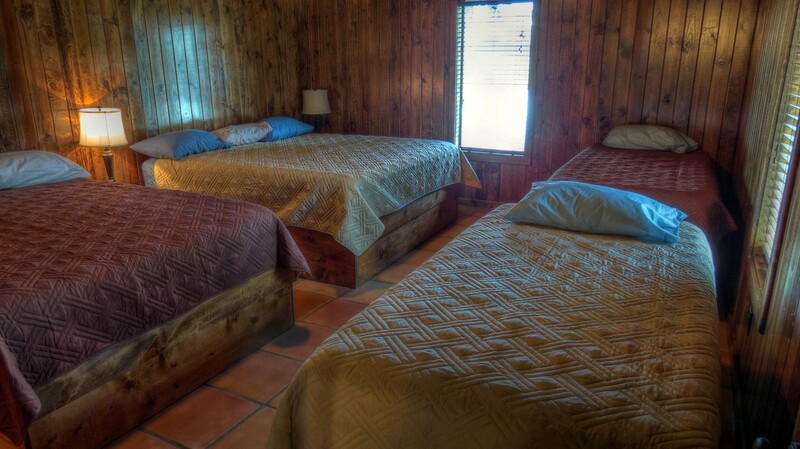 One bedroom has one (1) king size bed, one (1) queen size bed and two (2) single size beds. 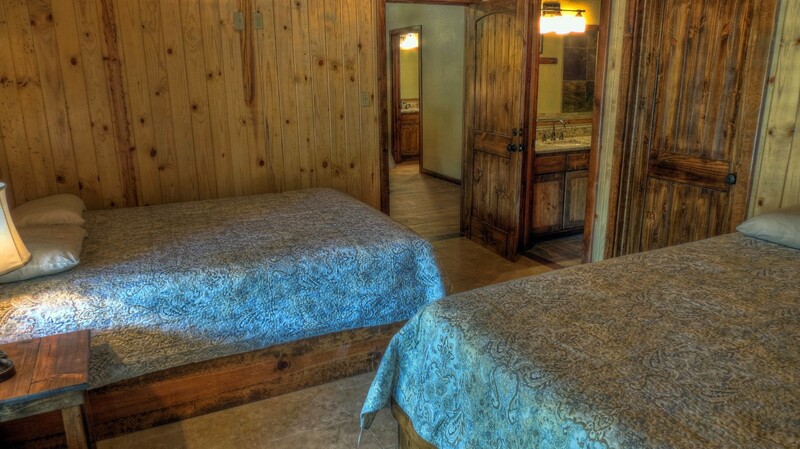 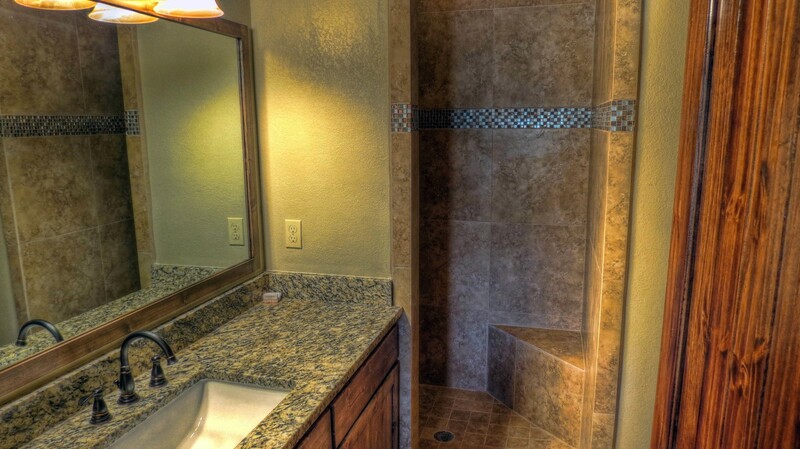 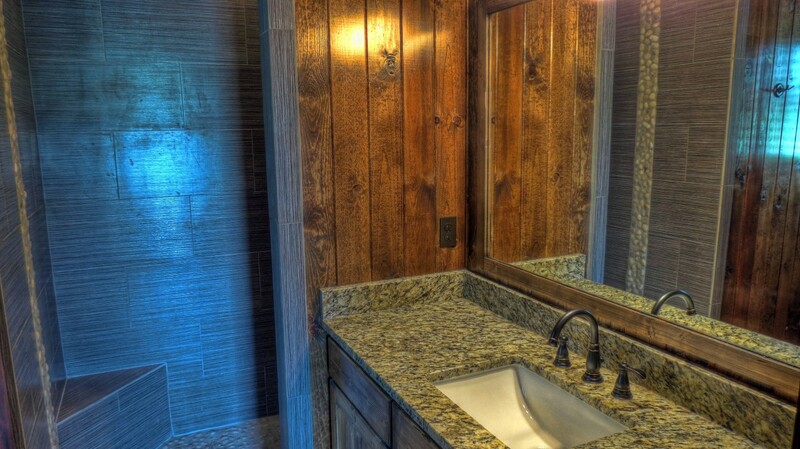 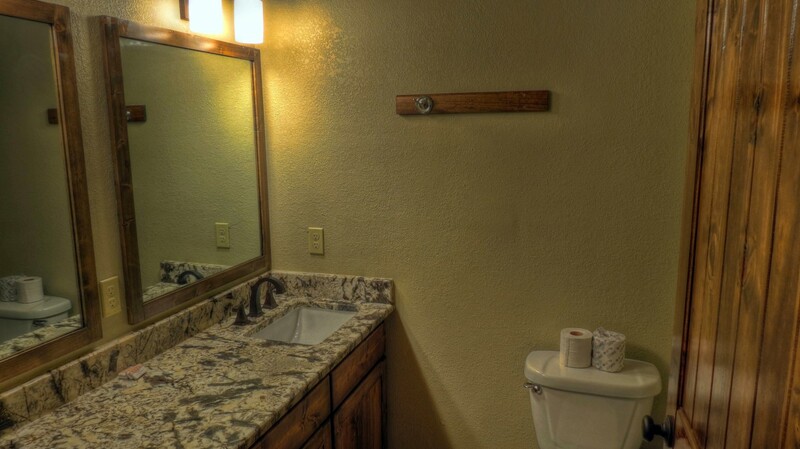 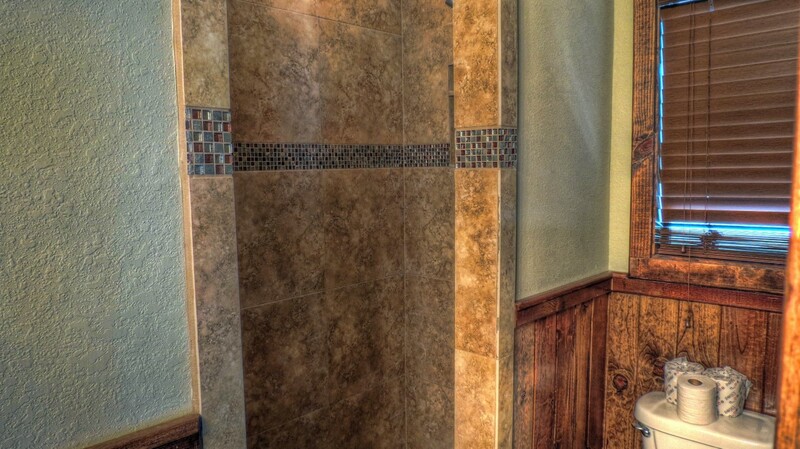 (Please see pictures for bed layout) All bedrooms have their own full bath. 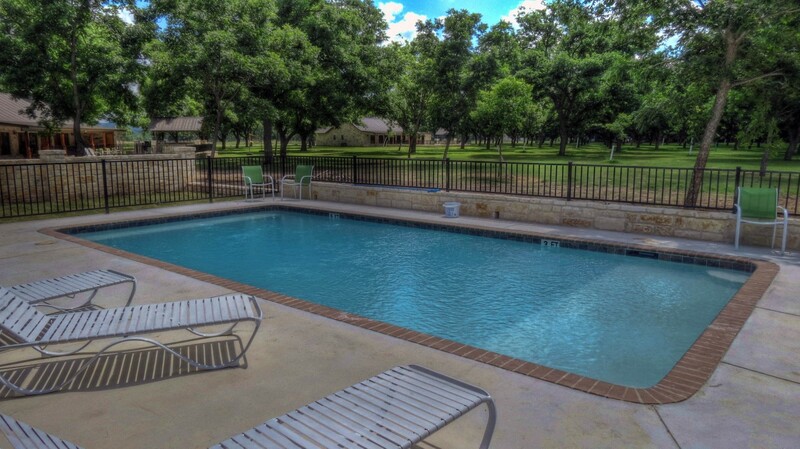 In addition, there is a 1/2 bath in the living area and a 1/2 bath located outside next to the pool. 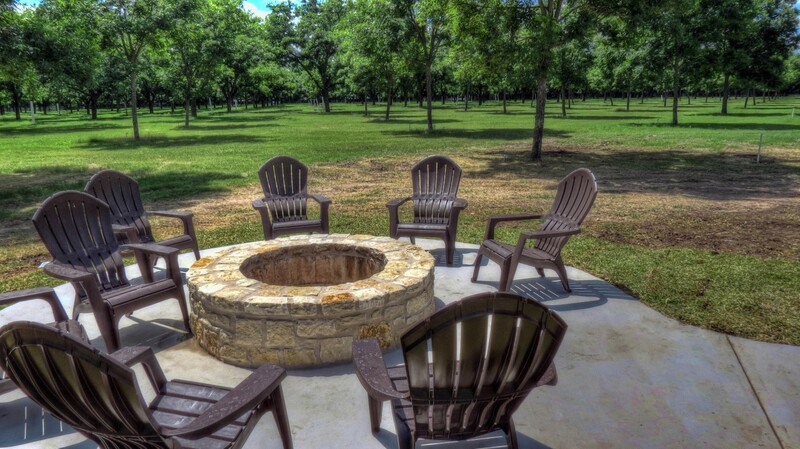 The Buckeye I-louse has its own private fire (pit) ring. 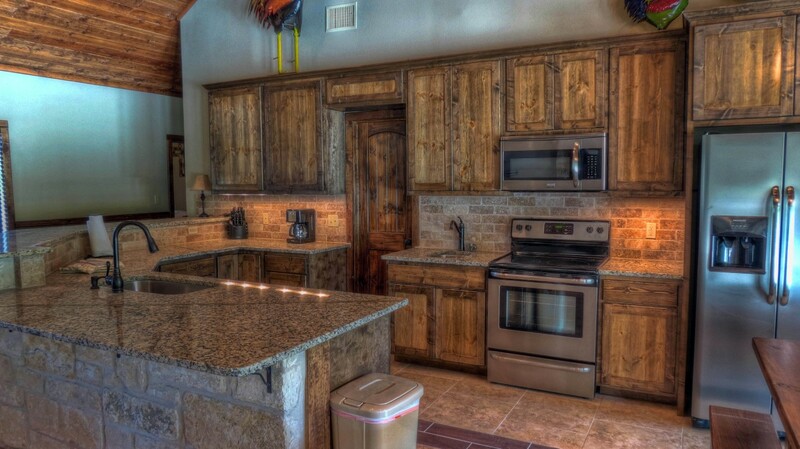 This house has a great outdoor kitchen with sink, mini fridge, and TV. 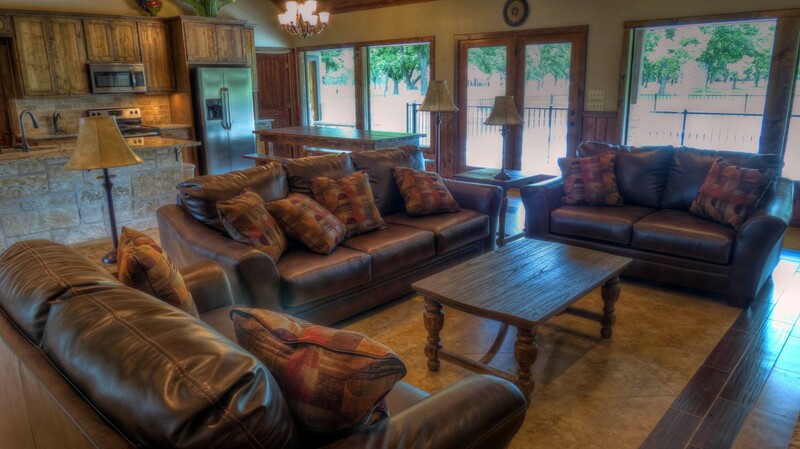 Tons of seating options inside and out to relax or share good times with family and friends. Only five vehicles may be parked at the house ($5.00 per day charge for each additional vehicle).